Keighley is halfway between east and west coasts so not a bad trip along the A59 or the M65. 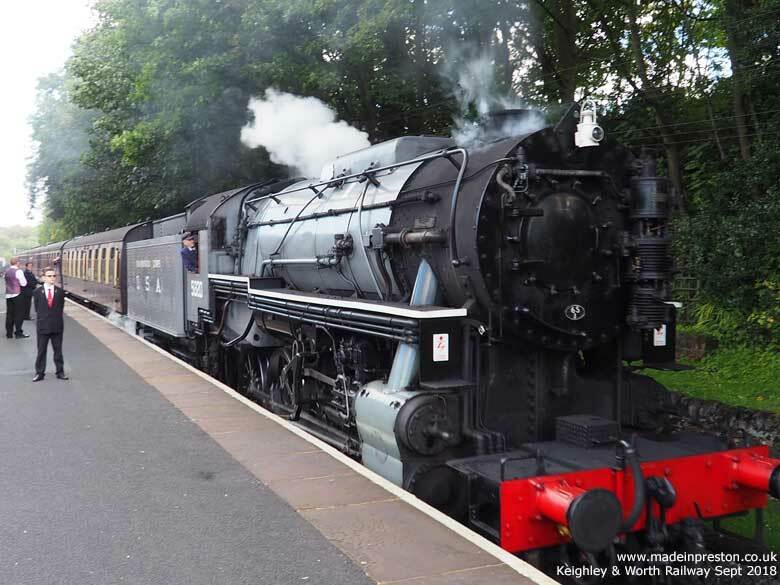 There is a heritage railway, The Keighley and Worth, which has 3 museums and a shed. There is also a Bus Museum and a real museum called The Cliffe. We visited the Bus Museum and the Railway Museums in September 2018. Also the Cliffe Museum a couple of years ago. 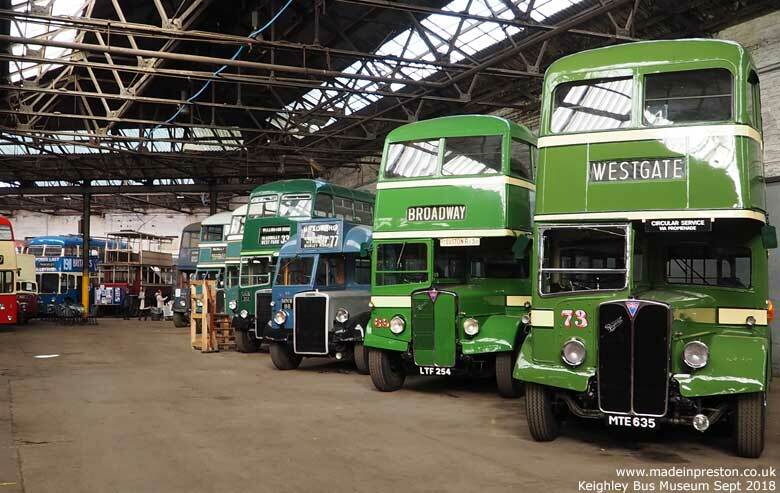 Keighley Bus Museum is only open on certain special days. In September it was a Macmillan Cancer Support Coffee Morning. The museum is contained in what appears to be an old Bus Garage next to a large stone mill. Quite an attractive mill with a Tower if you like the stone architecture. Inside is a collection of running buses mainly ex-Leeds Corporation with a couple of ex-Morecambe and Heysham Buses and some ex-East Yorkshire Buses. There is also the last Leeds Trolley Bus and plenty of old buses awaiting restoration. It’s a definitely a garage experience but if you like the old buses worth a trip. The Keighley and Worth Railway is a stretch of track from Keighley to Oxenhope about 7 miles, with a station at Haworth. Also a station at Ingrow just outside Keighley where there is a Carriage Museum and a Loco Museum. At Oxenhope is a Carriage and Loco Museum while Haworth has an engine shed that is occasionally open. Throughout the year there are timetables for services on the line using steam or diesel and often with a theme such as Halloween, Christmas and Beer trips. The Bus Museum took about 45 minutes while some 4 hours were spent at the Railway including a return journey.